Daughter of the Founder, Lynn Fleming Aeschliman has been involved in one way or another with TASIS for her whole life. (Her grandparents, Mr. and Mrs. H. M. Crist, Mrs. Fleming’s parents, were also school founders and directors.) In 1956, along with her sister and brother, she was among the twelve students in the first year of the School when the student-faculty ratio was 2:1. Mrs. Aeschliman graduated from TASIS in 1963, spent a post-graduate year at TASIS and studied design in Milan, then received her B.A. from Barnard College, Columbia University, in 1968. She has worked for TASIS in many roles for many years: in promotion, publications, and films, in setting up tours for the TASIS summer theatre program in the Roman theatres of Italy as Managing Director of ARTE - American Repertory Theatre in Europe; in building and renovations, overseeing the wing addition to De Nobili and renovating all of the original buildings on the TASIS England campus; in administration, serving as Assistant Director and Chairman of the Development Board; and participating in the creation of Fleming College Florence and later TASIS England American School. In 1984, Mrs. Aeschliman, with her professor/writer husband Dr. Michael D. Aeschliman and their two children, moved to Charlottesville, Virginia, where Dr. Aeschliman taught at the University of Virginia. Having done a lot of renovation in Europe, especially for TASIS, Mrs. Aeschliman started her own architectural-renovation business in Virginia, dismantling, moving, and rebuilding early Virginian houses. She also served as President of the Board of a parent-run country-day school near Charlottesville. In 1993-4, the Aeschlimans spent a year in Provence so their children could learn French; then the family moved to Lausanne, Switzerland, where they opened Erasmus Institute, a residential-college program. During the four summers between 1990 and 1994, Mrs. Aeschliman started and ran a bilingual, ecumenical Christian, environmental summer program - Young Pilgrims in Switzerland, then in France. In 1996, Mrs. Aeschliman took over leadership of the TASIS Schools as Executive Director. 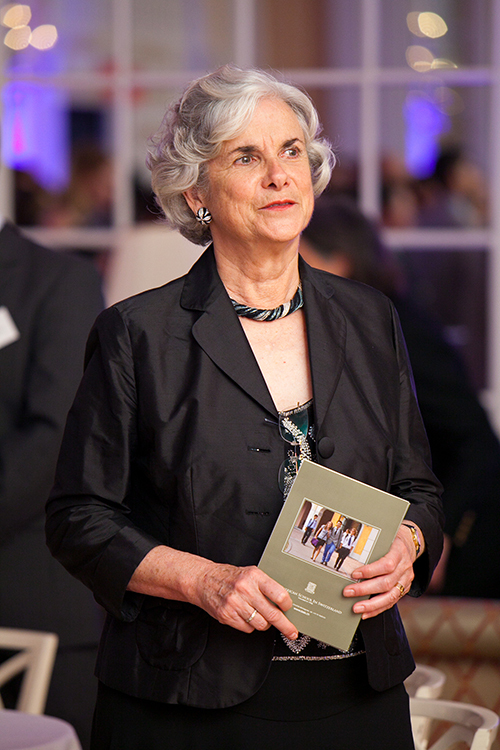 Then in 2005, as the Fleming family completed the donation of all the TASIS Schools and campuses to the TASIS Foundation, a Swiss non-profit educational foundation, Mrs. Aeschliman became Chairman of the newly-established Board of Directors, as well as Vice Chairman of the Foundation. She serves on the Board of Directors of TASIS England as well. In 2005, Mrs. Aeschliman also founded the very successful TASIS Elementary School, the first and only English-language elementary school in Ticino. In addition to founding Tuscan Classical Academy for architects and painters in 2004, Mrs. Aeschliman's keen interest and expertise in architecture has aided her in helping to conceive, along with Master Architect David Mayernik, and execute, building-by-building, the realization of the TASIS Global Village Master Plan. Living such a full, varied, and rich life has given Mrs. Aeschliman plenty of challenges, and has equipped her well for the large responsibility of guiding the TASIS Organization in the 21st century. She and her husband are committed educators, eager to provide opportunities and to make a positive difference in the lives of young people and to maintain the high standards and commitment to excellence in education to which Mrs. Aeschliman's mother, Mrs. Fleming, and grandparents dedicated their lives.